Subscribe to our mailing list? We provide you with regular reports on the progress our PowerCoders make with the help of your contributions. We do this only via Newsletter. Help us create a better future! 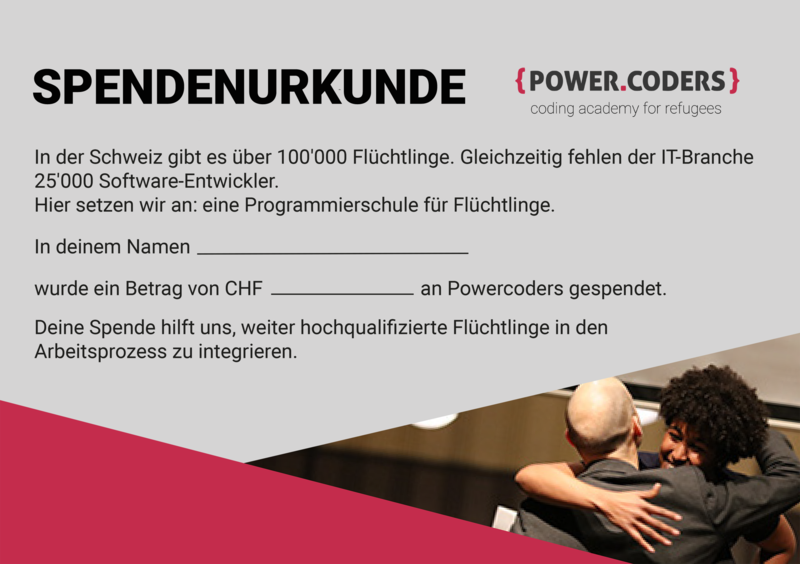 Powercoders is a non-profit organization. We rely on donations to continue our work helping refugees secure a better future in cities throughout Switzerland. 100% of your donation goes directly towards the operation of our programs.